To download your videos hosted by vooPlayer, go to your account settings (small wrench icon, next to your username) and choose My Files. If you added a subtitle for a video, you will have an additional .vtt file. Recently, an option to download HLS encrypted files is implemented, so now it is possible to download your video files with extensions .m3u8 and MP4. Linked videos are not physically present in vooPlayer, therefore they can not be downloaded. Now when you are sure that you found the desired video, just click on the small download icon at the right side. There is also an option to delete this file, next to it. 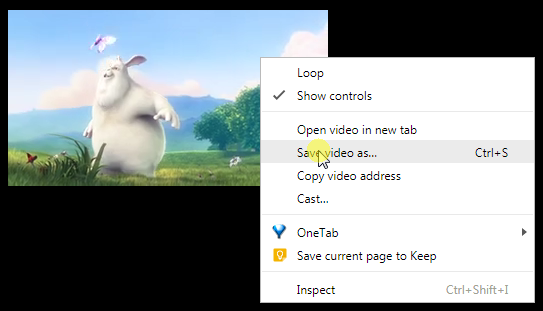 The video will open in a new tab, use the right click and "Save video as..." to save it.